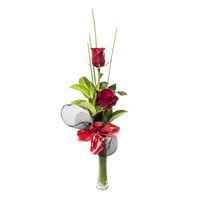 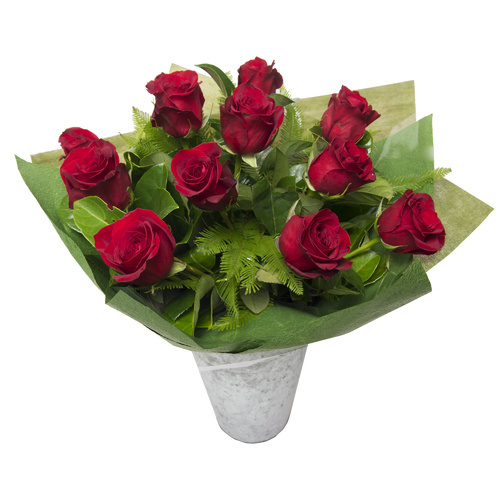 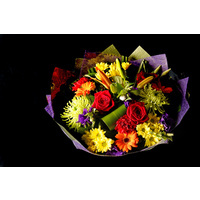 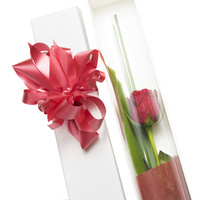 Love will be in the air with a delivery of these stunning long stem Columbian roses nestled amongst lush green foliage. 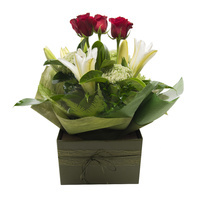 The perfect expression of Romance. 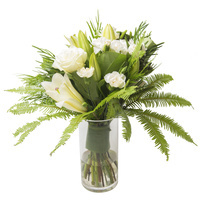 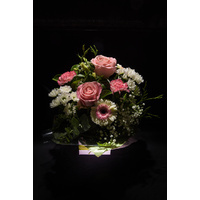 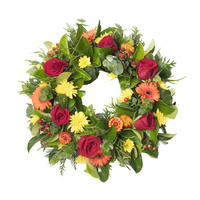 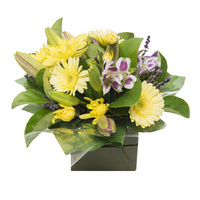 All available in our Pick A Lily Florist. Roses! 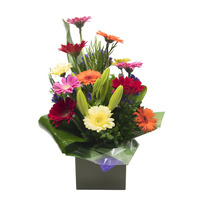 Presented in a lovely display.